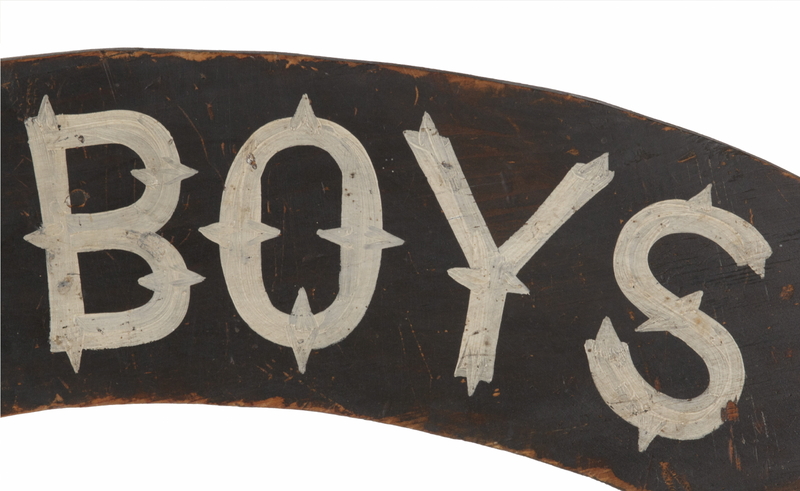 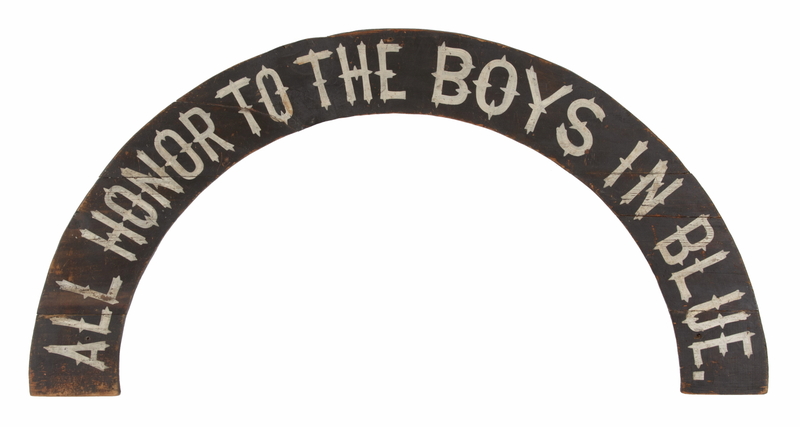 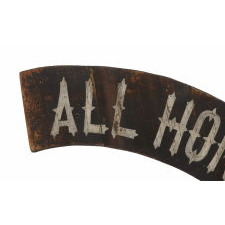 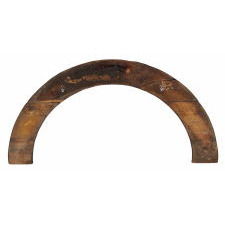 Black-painted American sign with beautiful lettering in a 19th century style, in a crescent-shaped design, probably made for over-door display. 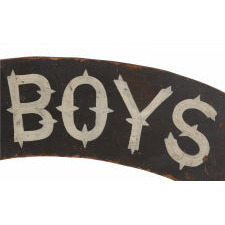 Dating shortly after the Civil War 1866-1880, the sign was made to honor Union Army & Navy veterans. While “blue jackets” is a specific Navy reference, the term “Boys in Blue” applied more widely to Union vets in general. 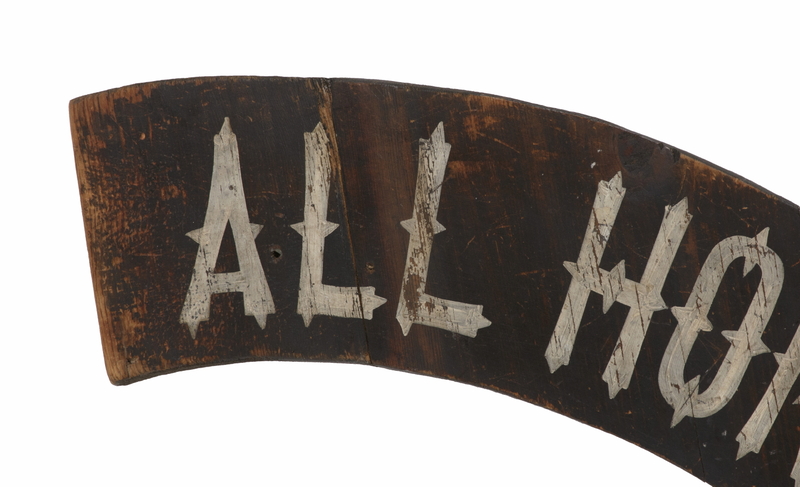 A remarkable piece of American folk art due to its form and patriotic imagery. 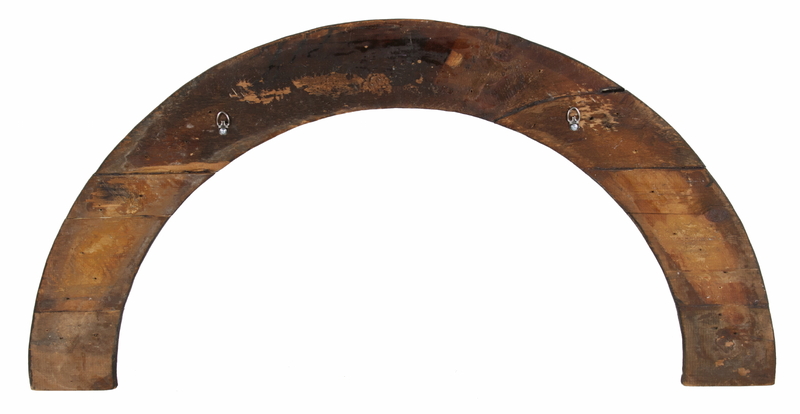 Condition: Several breaks were repaired, but the paint is original.